While some may have doubted email’s staying power in the past, the channel has proven itself to be an invaluable part of any companies overall success. 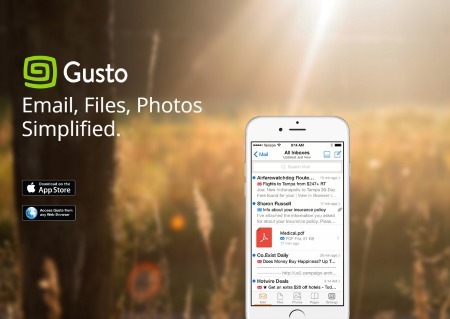 Gusto, a free iOS and web based email platform, has announced the addition of a highly anticipated new feature to its platform called Pages. The new feature, which Gusto claims has a similar look and feel to Facebook’s News Feed, endows users with the ability to post any document, email, photo or comment to a private conversation stream in which family, friends and coworkers can be invited to and interact with. Pages comes after a swarm of other recent upgrades to the email platform that's highlighted by delivering enhanced search capabilities to make it easier for users to search for specific emails, documents and photos. In order to import pictures to conversation streams users can connect their Gusto accounts with their Facebook and Instagram as well as their phones Camera Roll.